At times we will see praises of Christians living out their faith even though it does not make sense. They are praised for what they are trying to do against reason. It is certain that persevering in hardship is extremely praise worthy. But what is odd is how many Christians see following Christ in extremely difficult times as irrational. 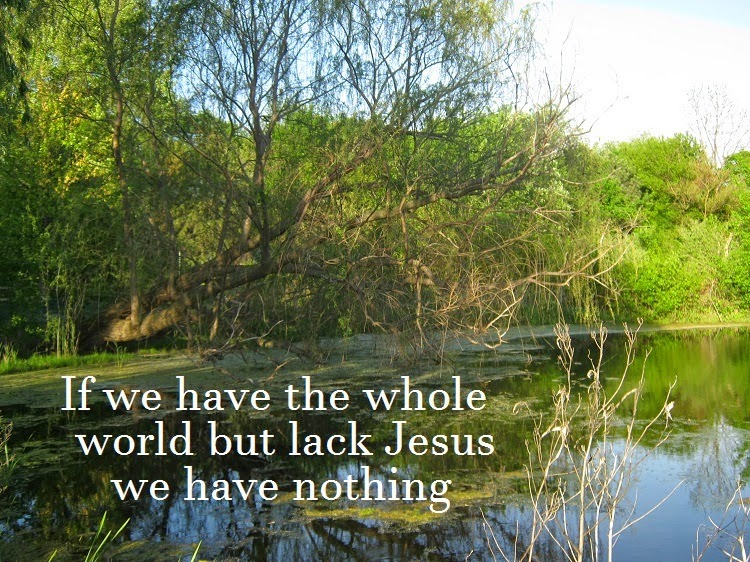 You see we fail to miss the point that having Jesus as our Lord is worth more than the whole world. If we have the whole world but lack Jesus we have nothing is the repeated message of the bible. But why is our relationship with Jesus so important. The point of course is that we have either an eternity of fellowship with the living God or we don't. An eternity with God or an eternity separate from God is at stake. The treasure of the Christian is God himself. Persevering through extreme difficulty is certainly praise worthy, but it is not irrational. What is irrational is for us to see persevering in faith at any point as irrational. We need to grow and begin to see as Paul did that nothing is in a sense worth knowing other than Christ and Christ crucified. It is not to put down intellectual learning about the world, but rather to say that without the knowledge of Christ all other learning falls flat. And with the knowledge of Christ all leaning takes on its true meaning. The world is good and all in it. But all things need to be understood in their relation to their creator God and his work in the world.